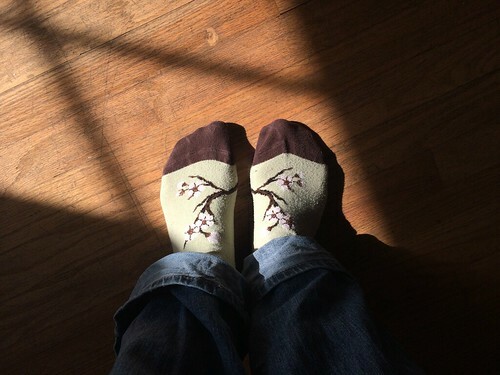 Equally happy with socks and sunshine. All winter, the space inside my chest was wrapped in a rosary two-hundred prayers long, each bead enclosed in onionskin and buried until spring when daffodils promised to bloom. 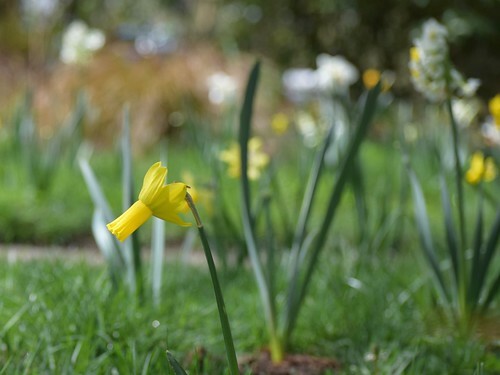 When I’d wrangled my family into planting 200 bulbs last fall, I’d envisioned a river of daffodils meandering through the backyard lawn. All winter I waited and wrote, stockpiling bushels of sentence and syntax, because in the marketplace words are cheap, and flowers buy Insta-hearts. As spring neared, I searched the lawn for signs, and sent my youngest into the alley to play ball there rather than trample the grass. Finally, thick green spears poked out of the cold, wet earth, and bloomed. But my daffodil dream wasn’t a river, but a silly smattering, a spittle spray of cream, yellow, gold and apricot amongst the molehills. A goofy kinda beauty; I guess I should’ve buried the bulbs in clumps, rather than individual holes. All winter the door remained closed. But now it’s flung wide, inviting a soft wind to warm my face, to lift hair near my temples that has yellowed, whitened. A breeze carries the sound of my last child playing in the garden. 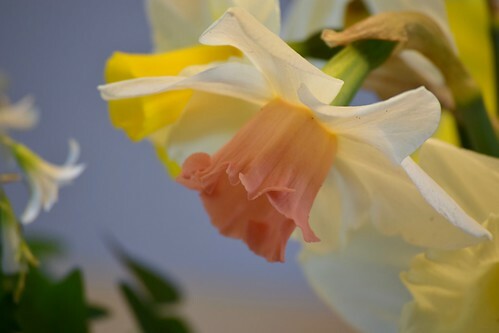 Soon he will bring me armfuls of narcissus, with their scent–cloying, old-womanish–more promise than perfume. Love the image of you rolling around in the snow, laughing at yourself. Thanks for sharing, Chris.